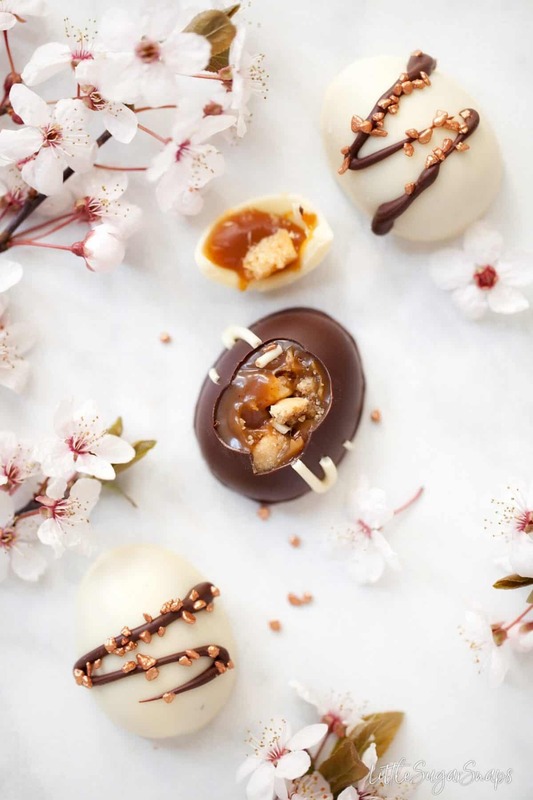 Millionaire’s Shortbread Caramel Easter Eggs are a divine Easter treat to make and share. Filled with homemade vanilla caramel and chunks of shortbread biscuit, they are 2-bite delights. 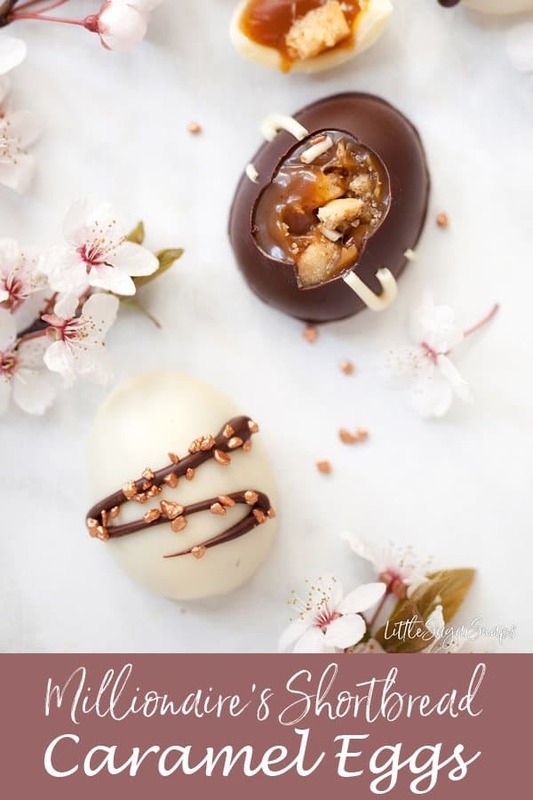 I’m very excited to be sharing the recipe for these Millionaire’s Shortbread Caramel Easter Eggs today because in making them I have recently mastered a new trick. Well, its an old trick that has always stumped me – tempering chocolate. Although I have a soft spot for creating homemade chocolates, my inability to temper the chocolate has always let me down. Through the years, I have harumphed my way through serving up dozens of bloomed chocolates to family & friends, inwardly so disappointed in myself for not being able to master this skill. From now on though, I will be serving up smooth, perfectly tempered chocolates without a hint of bloom about them. 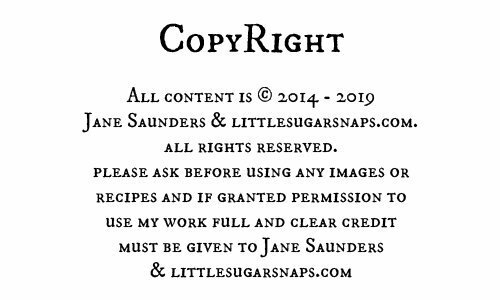 Of course, I’m going to share with you what I have been doing wrong time and time again and how to do it properly. 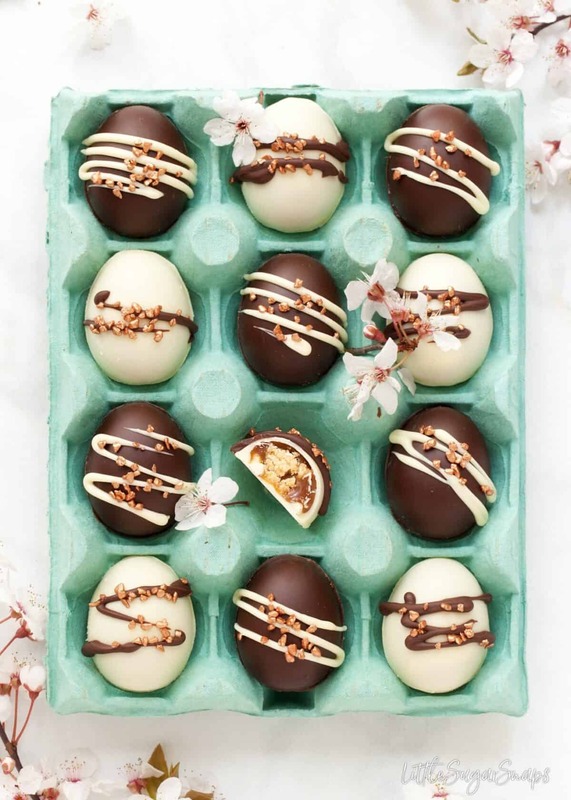 But before all of that, let’s talk about these delectable Millionaire’s Shortbread Caramel Eggs in more detail. You don’t have to be Einstein to calculate that chocolate, caramel and shortbread are involved. These 2 bite eggs contain all 3 elements of this classic teatime treat. Rather unsurprisingly, they are utterly delicious and hard to stop eating. 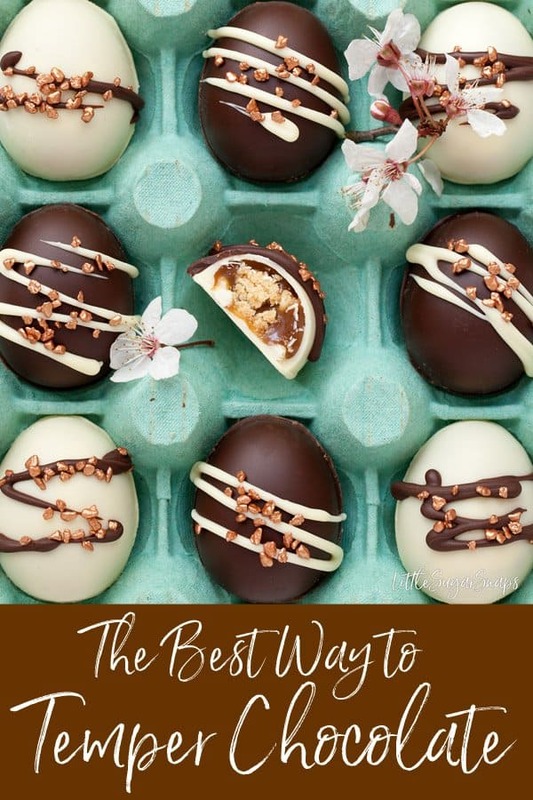 These eggs can be made in any chocolate you prefer – dark, milk or (my personal favourite) white. Pick contrasting chocolate to add a splash of simple style to the decoration. I’ve used homemade caramel and flavoured it with vanilla to add a lovely creamy flavour to the caramel itself. 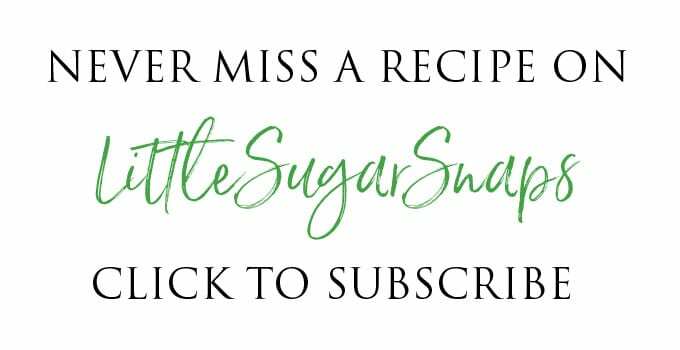 As an alternative, salted caramel also works well, so I’ve included instructions for this in my recipe notes. 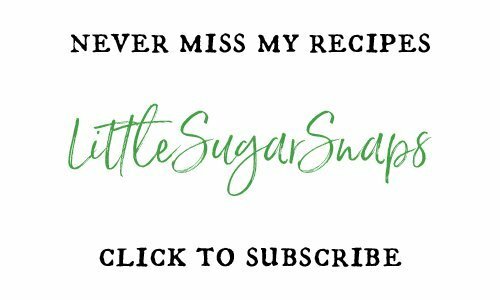 Although my recipe uses homemade caramel, it does use storebought shortbread. If you have extra time and feel inclined to make your own shortbread, all the better. Conversely, if time is not on your side, concentrate on getting the chocolate perfectly tempered and use good quality storebought caramel and shortbread instead. If you are new to working with chocolate molds or, like me, wishing to improve, I came across a great video, giving lots of tips and advice. I found it very helpful. As promised, before I tell you how to temper chocolate, I’m going to reveal what I was doing wrong for so many years. Hands up if, in your quest to master chocolate tempering, you have followed advice to melt 2/3 of the chocolate and then add the remaining third. Sounds simple, doesn’t it? And I can’t tell you how many times I have come across this seemingly straightforward recommendation as I’ve tried to work out what I have been doing wrong. I can, however, tell you, that although this technique may result in the occasional batch of perfectly tempered chocolate, it is hit and miss. Perfectly tempered chocolate must be heated and cooled to certain temperatures. Precision is vital. When I say precision is vital, I do mean it. 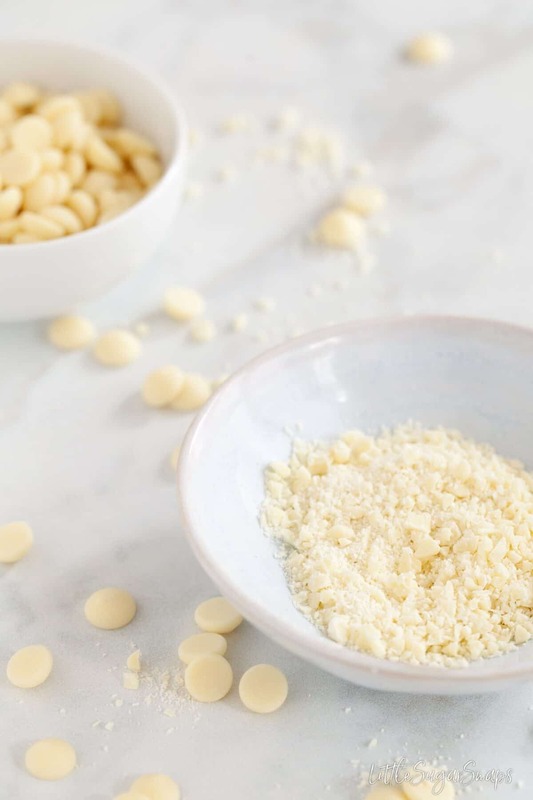 For starters, dark, milk and white chocolate must be heated and cooled to different temperatures to achieve perfect tempering. So it really is not enough to work by the two thirds : one third approach and hope for the best. There are a number of ways to temper chocolate, but tempering by seeding is the technique I am describing today, because it is relatively quick and easy. Don’t be surprised if this part takes up to 15 minutes – your beautiful tempered chocolate will be your reward. Once tempered the chocolate is ready to use for dipping and molding. Wrap the bowl in a dry tea towel to retain the heat. If it started to stiffen before your work is complete, gently reheat in the microwave in 15 second bursts. Take care to not allow the temperature to go above the ranges listed above or the tempering will be lost. Any leftover chocolate can be stored and either used in hot chocolate drinks or re-tempered at a later stage. 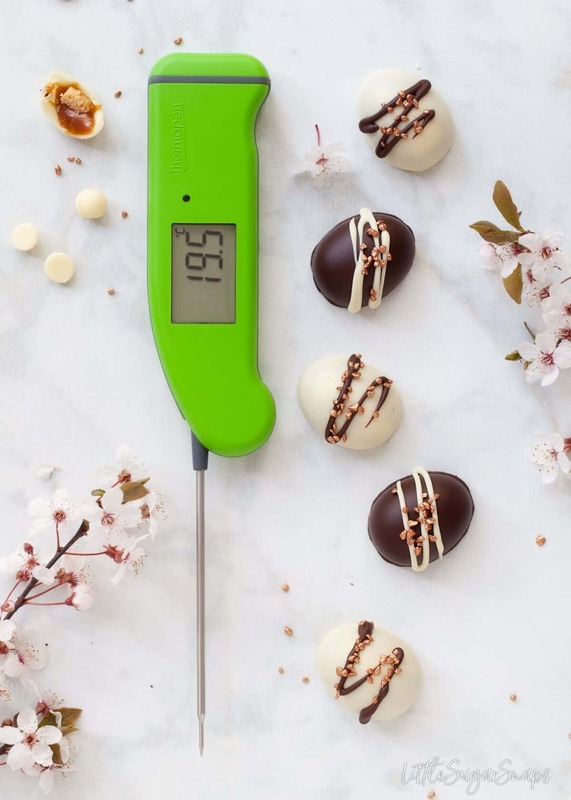 I used my new Thermapen Pro when making these Millionaire’s Shortbread Caramel Eggs. 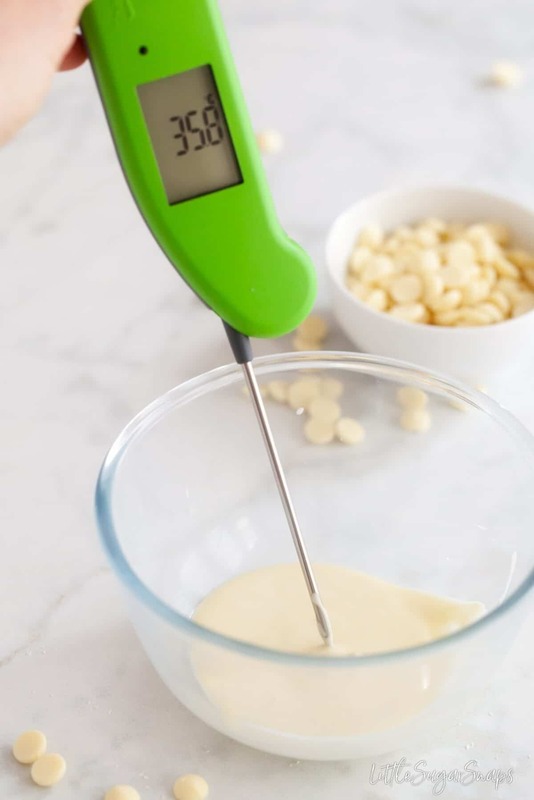 Using a quality piece of equipment like this does take the guesswork out of tasks like tempering chocolate, since it can accurately read the temperature in less than 3 seconds. 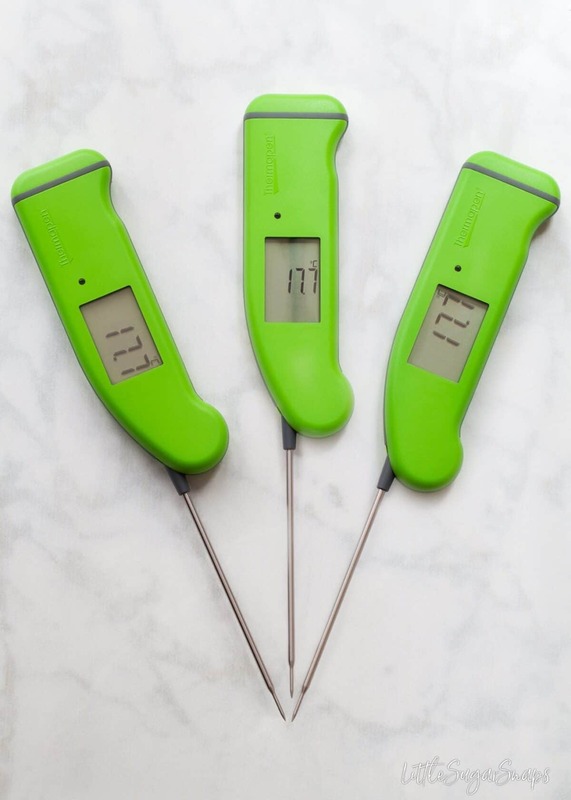 I’m particularly enjoying my new Thermapen since it has an auto-rotating display that can be used in any position, in either hand. I’m left-handed and it’s not often I find kitchen equipment tailored to my requirements. And that’s it. Perhaps this guide to tempering chocolate sounds slightly precise and time-consuming. It is – there is no denying it. But it is also a reliable way to temper chocolate. My advice is to not attempt chocolate tempering when time is short. But do put some of your favourite tunes on to help while away the time whilst you stir. And remember, the end result will be worth it. 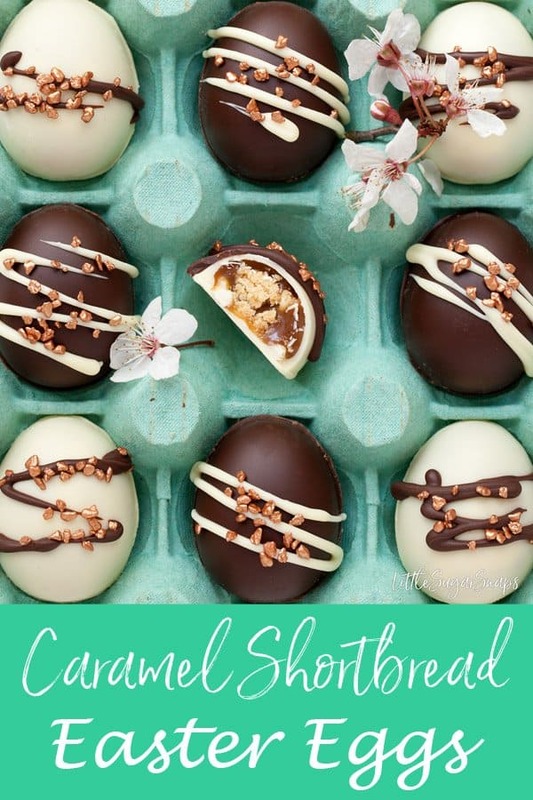 In this case, those delectable Millionaire’s Shortbread Caramel Easter Eggs. 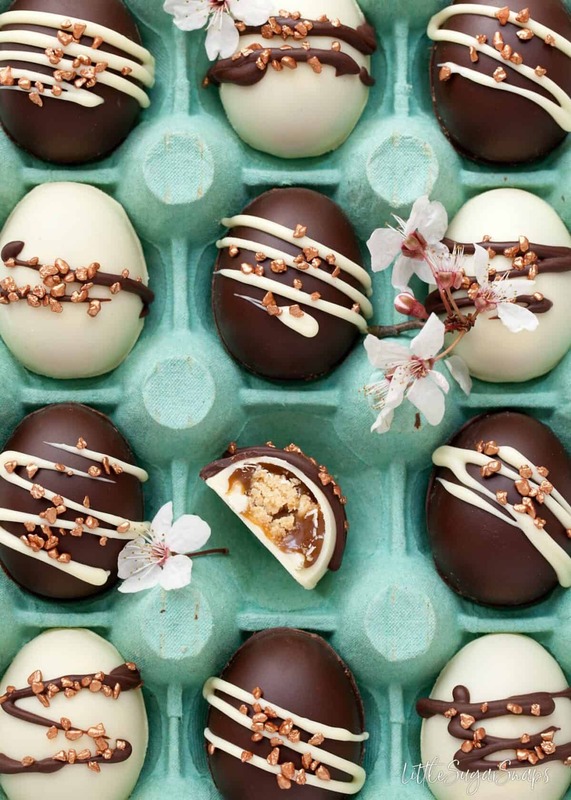 Millionaire's Shortbread Caramel Easter Eggs are a divine Easter treat to make and share. Filled with homemade vanilla caramel and chunks of shortbread biscuit, they are 2-bite delights. Salted caramel can be used in place of the vanilla caramel. 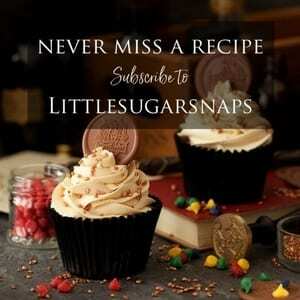 Just decrease the vanilla extract to 1/4 tsp and use 3/8 - 1/2 tsp sea salt (according to taste). How beautiful all photographs!! remind me of my native country(Japan) 😀 And thank you for the detailed tempering chocolate instructions. How kind of you to say that. Maybe it’s the blossom in the pics making you think of home. Gorgeous! Simply gorgeous! 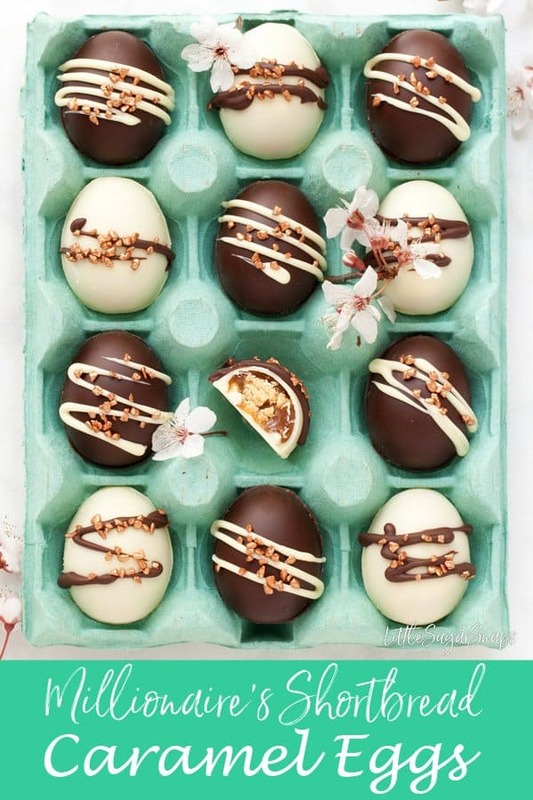 I am going to make these for Easter! Such a beautiful presentation! 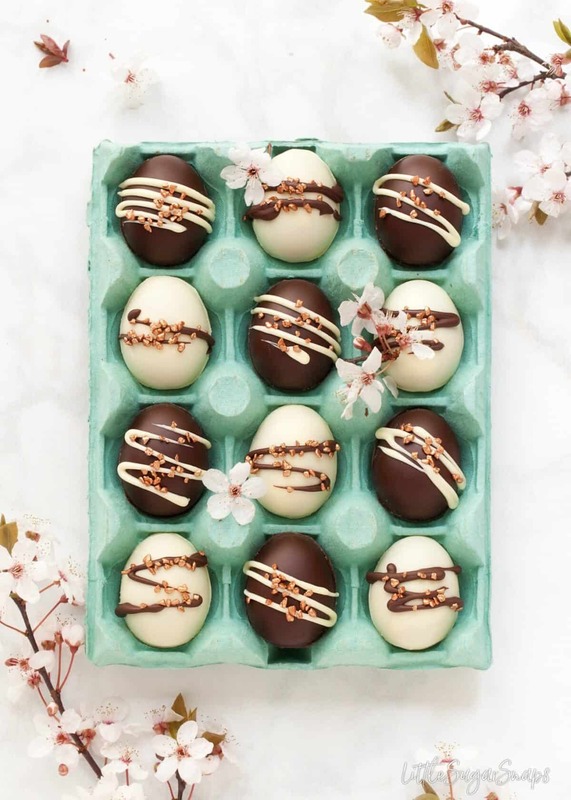 These little chocolate eggs are the perfect gift! Love them! Thanks Amanda. They are delicious. It’s like a candy bar inside an Easter egg! 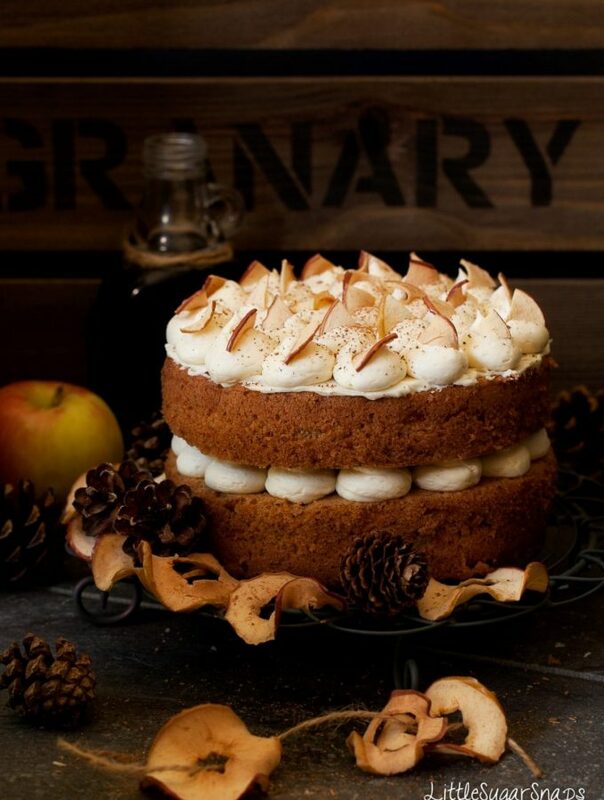 What a delicious treat this would make for Easter and so pretty too. What a great tutorial on how to temper chocolate too. Thanks for all the tips!